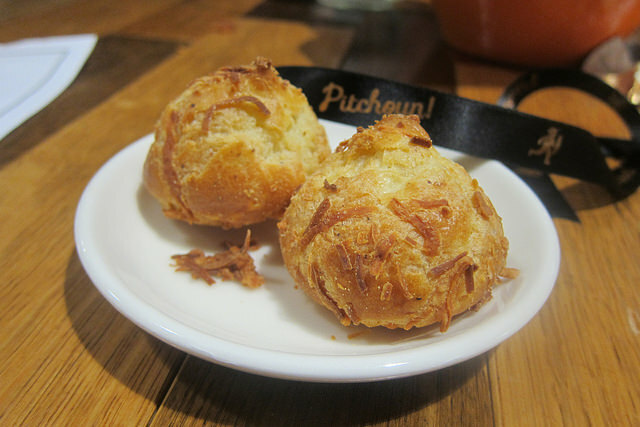 Pitchoun Bakery in Downtown Los Angeles is now open. The French bakery is currently operating daytime hours and hopes to expand to dinner service soon. There is also a forthcoming wine bar inside the bright and cheerful bakery. It’s located right by the Biltmore Hotel and across from Pershing Square on Olive Street. As you can imagine in the near future, diving into the bread basket would be a treat. Pitchoun currently has everything from baguettes, sourdough bread, ciabatta, fig and nuts batard to wonderful savory bites like gougers. There are also morning pastries. I’m eyeing the almond croissants! I’m really interested in trying Pitchoun out for breakfast. 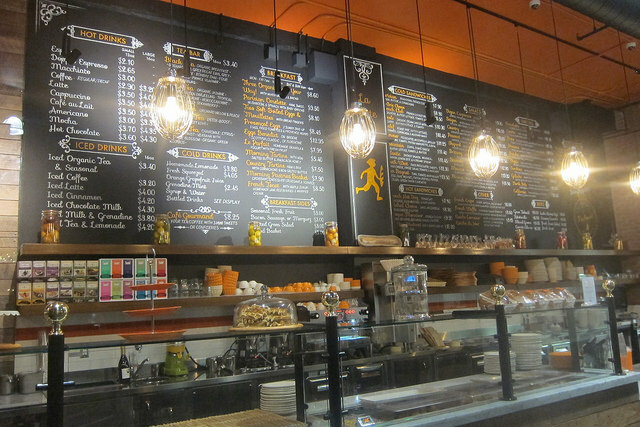 They make their own yogurt and the Parisian omelette sound very appealing. 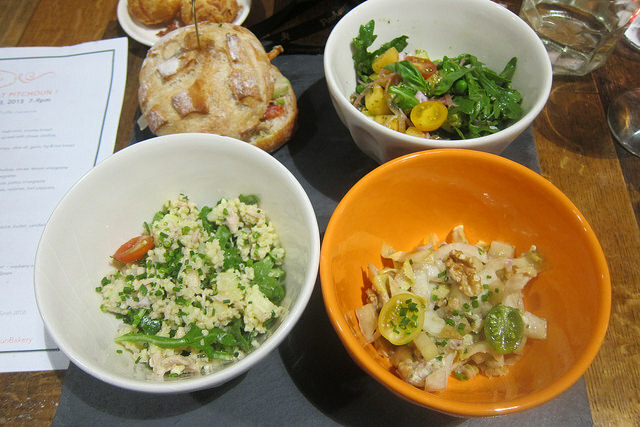 I tried more lunch-y items like the pan bagnat and a couple of different salads. 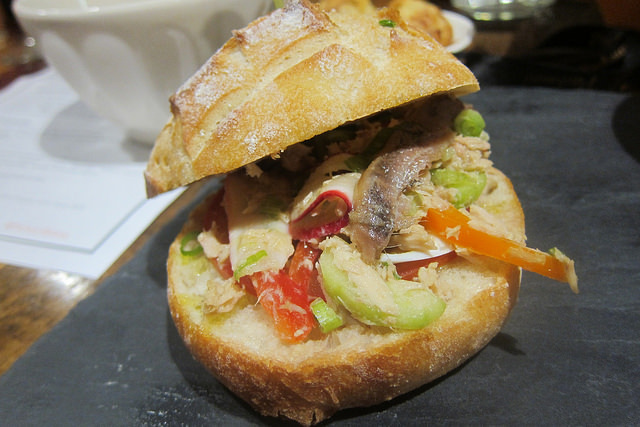 The pan bagnat with both tuna and anchovies is the sort of sandwich I love– so full of umami. It’s like a Nicoise salad in sandwich form. My favorite salads were the Brittany (tuna and millet) and the Brussels (endive and bleu cheese). I would love to try the Saigon salad with lots of crunch veggies including green beans, kale and bean sprouts. For a heartier lunch, try the French hot dog with comes encased in puff pastry and already has Dijon mustard slathered inside. Or go for the Croque Monsieur which of course you must upgrade to the Madame by adding a sunny side up egg. There are also tartines, open faced sandwiches. I liked the Sunshine with prosciutto, zucchini and ricotta. The North Pole with smoked salmon is also great. 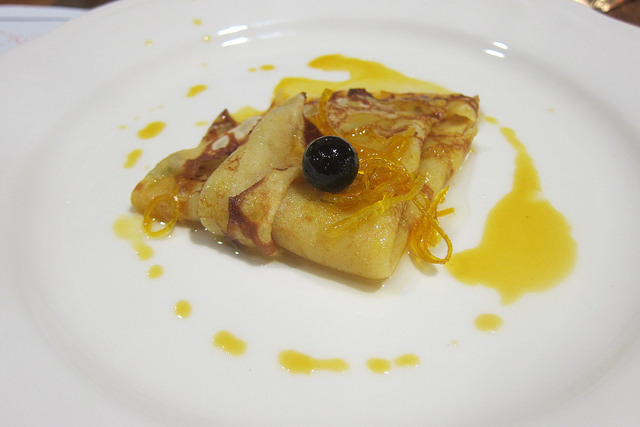 For dessert, we were treated to this more gorgeous crepe which I was very happy with until the piece de resistance arrived. Showcasing what they could do for catering, Pitchoun gave us a little bit of all their patisseries. 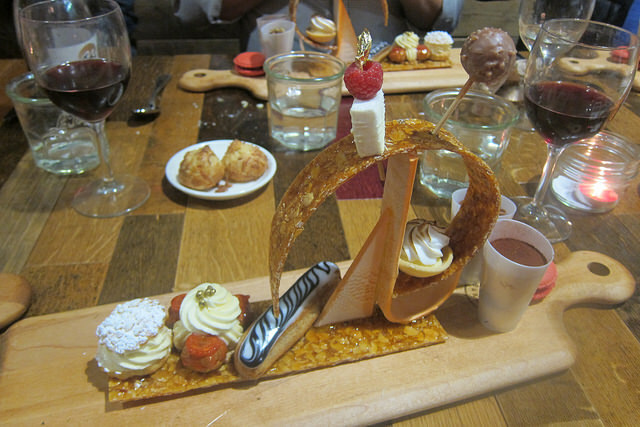 The St. Honore, macarons, opera cake and more were wonderful. I even liked the marshmallow which was unbelievably fresh. None of that jet puff stuff! I’ll be back to try soup and quiche!